Curious what health risks are posed by gum and dental disease? Find out at Specialized Dentistry of New Jersey. 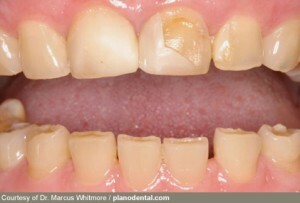 What Health Conditions Are Related To Dental & Gum Disease? Are you curious what health conditions you are at risk of when the health of your gums and teeth are in decline? Prosthodontist Dr. James Courey will explain which health conditions are related to dental and gum disease. The research isn't conclusive, but red, swollen, and bleeding gums may point to health problems from heart disease to diabetes. Sometimes, bacteria from your mouth can travel to your bloodstream, setting off an inflammatory reaction elsewhere in your body. 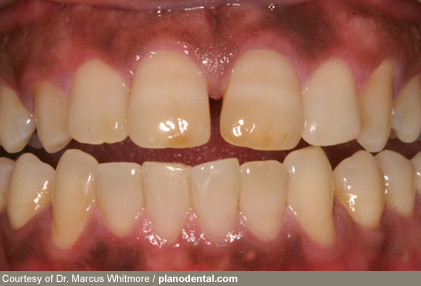 Left untreated, gum disease can increase your risk for a host of diseases linked to inflammation. Certain diseases and medications also may cause mouth problems. Can Mouth Bacteria Affect the Heart? Some studies show that people with gum disease are more likely to suffer from heart disease than those with healthy, pink gums. Researchers aren't sure why this association exists. One theory is that oral bacteria travel into the bloodstream where it may attach to fatty plaques in the arteries, causing inflammation and setting the stage for a heart attack. Are you are at risk? Talk to your doctor. 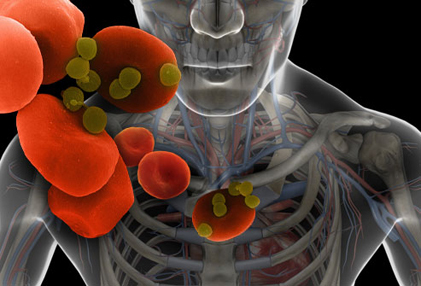 Diabetes can reduce the body's resistance to infection. 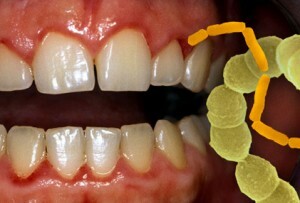 Elevated blood sugars increase the risk of developing gum disease. 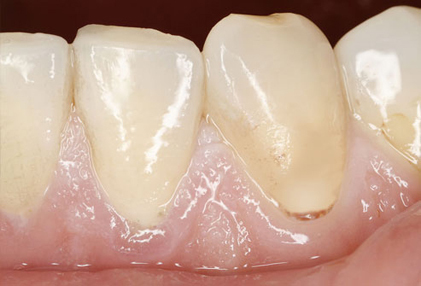 What's more, gum disease can make it harder to keep blood sugar levels in check. Protect your gums by keeping blood sugar levels as close to normal as possible. Brush after each meal and floss daily. Visit your hygienist and Dr. Courey at least twice a year. 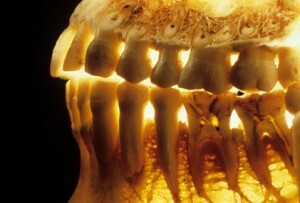 The 4 million Americans who have Sjögren's syndrome are more prone to have oral health problems, too. With Sjögren's, the body's immune system mistakenly attacks tear ducts and saliva glands, leading to chronically dry eyes and dry mouth (called xerostomia). Saliva helps protect teeth and gums from bacteria that cause cavities and gingivitis. So a perpetually dry mouth is more susceptible to tooth decay and gum disease. Given that a chronically dry mouth raises risk of cavities and gum disease, you may want to check your medicine cabinet. 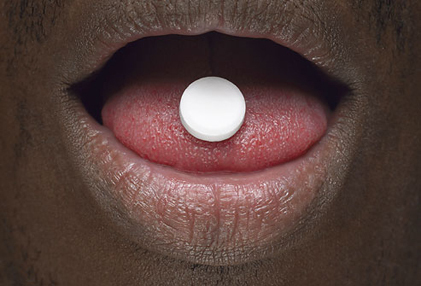 Antihistamines, decongestants, painkillers, and antidepressants are among the drugs that can cause dry mouth. Talk to your doctor or Dr. Courey to find out if your medication regimen is affecting your oral health, and what you can do about it. 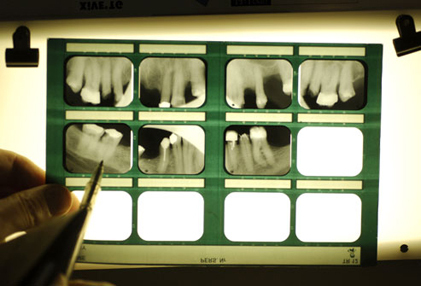 If you are stressed, anxious, or depressed, you may be at higher risk for oral health problems. People under stress produce high levels of the hormone cortisol, which wreaks havoc on the gums and body. Stress also leads to poor oral care; more than 50% of people don"t brush or floss regularly when stressed. Other stress-related habits include smoking, drinking alcohol, and clenching and grinding teeth (called bruxism). The brittle bone disease osteoporosis affects all the bones in your body -- including your jaw bone -- and can cause tooth loss. Bacteria from periodontitis, which is severe gum disease, can also break down the jaw bone. One kind of osteoporosis medication -- bisphosphonates -- may slightly increase the risk of a rare condition called osteonecrosis, which causes bone death of the jaw. Tell your Dr. Courey if you take bisphosphonates. 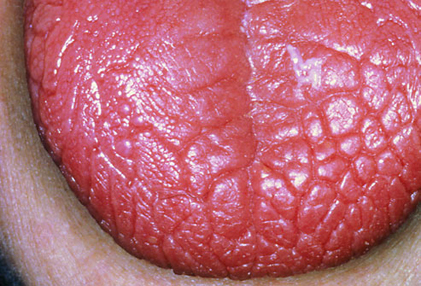 Your mouth may be sore and pale if you're anemic, and your tongue can become swollen and smooth (glossitis). When you have anemia, your body doesn't have enough red blood cells, or your red blood cells don"t contain enough hemoglobin. As a result, your body doesn't get enough oxygen. There are different types of anemia, and treatment varies. Talk to your doctor to find out what type you have and how to treat it. A dentist may be the first to notice signs of an eating disorder such as bulimia. The stomach acid from repeated vomiting can severely erode tooth enamel. Purging can also trigger swelling in the mouth, throat, and salivary glands as well as bad breath. Anorexia, bulimia, and other eating disorders can also cause serious nutritional shortfalls that can affect the health of your teeth. People with HIV or AIDS may develop oral thrush, oral warts, fever blisters, canker sores, and hairy leukoplakia, which are white or gray patches on the tongue or the inside of the cheek. The body's weakened immune system and its inability to stave off infections are to blame. People with HIV/AIDS may also experience dry mouth, which increases the risk of tooth decay and can make chewing, eating, swallowing, or talking difficult. People with rheumatoid arthritis (RA) are eight times more likely to have gum disease than people without this autoimmune disease. Inflammation may be the common denominator between the two. 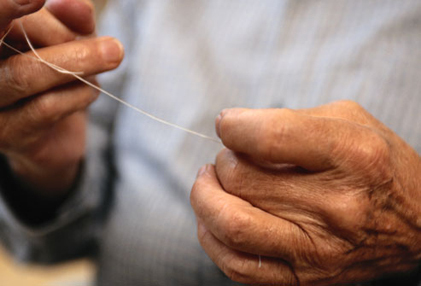 Making matters worse: people with RA can have trouble brushing and flossing because of damage to finger joints. The good news is that treating existing gum inflammation and infection can also reduce joint pain and inflammation. 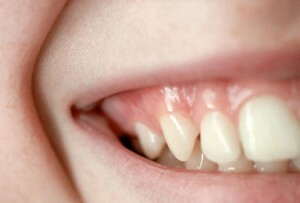 Adults without teeth may be more likely to have chronic kidney disease than those who still have teeth. 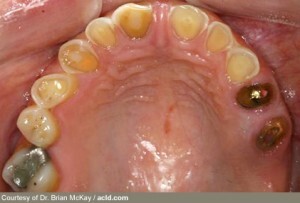 Exactly how kidney disease and periodontal disease are linked is not 100% clear yet. But researchers suggest that chronic inflammation may be the common thread. So taking care of your teeth and gums may reduce your risk of developing chronic kidney problems. If you're pregnant and have gum disease, you could be more likely to have a baby that is born too early and too small. Exactly how the two conditions are linked remains poorly understood. Underlying inflammation or infections may be to blame. Pregnancy and its related hormonal changes also appear to worsen gum disease. Talk to your obstetrician or Dr. Courey to find out how to protect yourself and your baby. Healthy gums should look pink and firm, not red and swollen. To keep gums healthy, practice good oral hygiene. Brush your teeth at least twice a day, floss at least once a day, see your dentist regularly, and avoid smoking or chewing tobacco. If you have health-related dental health issues, ask Specialized Dentistry of New Jersey about billing you medical insurance to maximize your benefits.